HEY GUYS LOOK! A weekly wrap up! On … Tuesday. And only with Michaela’s face. I had a really good reason for this, I swear, and I’ll be talking about that next Monday. Anyways! It’s also like one of our shortest wrap ups to date so you can enjoy that. Gretchen’s From the Notebook: Are Genres False Labels? 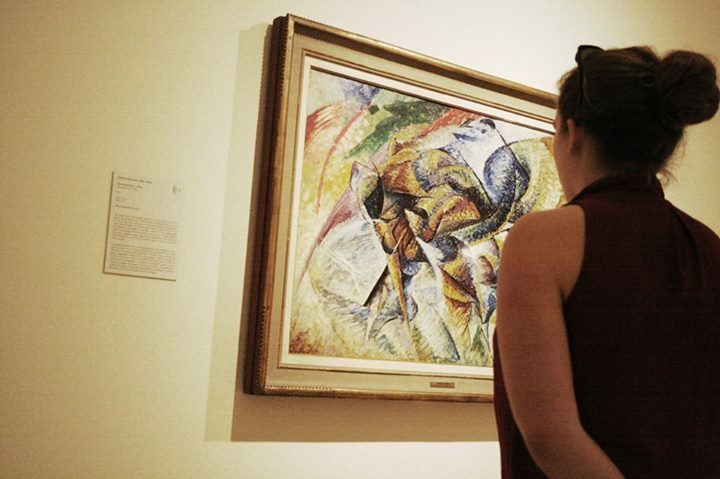 This blog is going to be a combination of that title, the Futurist Movement and my trip to Italy last semester. (Specifically, Venice. Read more about that here.) How, you might ask? Hang on to your hat! First, our poetical beginnings. This week in class we were reading about the Futurists and their CRAZY AS HELL movement of art. If you want to know how crazy, go ahead and look up the Manifesto as written by F.T. Marinetti. That’s what I’ll be quoting from. These guys had a lot of crazy, cool, and crazy-cool ideas kicking around. Among the stranger ones was their desire to destroy “museums, libraries, [and] academies of every kind” (22). 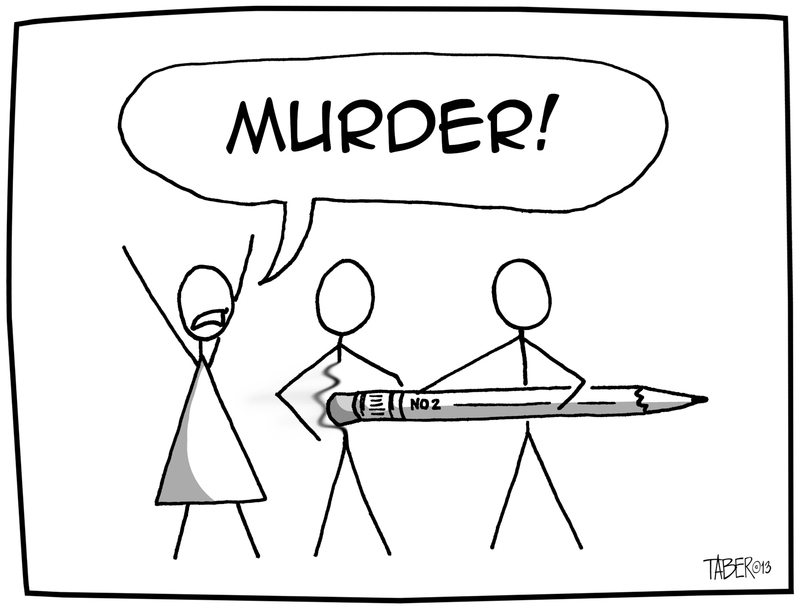 This is not to mention “moralism, feminism, [and] every opportunistic or utilitarian cowardice”, but that’s another blog post for another time (22). I want to focus on the word “museums” here, but first a little bit of context. One, this manifesto was written in 1909. These young men were glorifying war and violence, among other things, but they probably had no idea about what was coming around the corner for all of Europe. Second point of interest–and where I got my blog post title from–was that they were so into new ideas that they hoped that “other, younger and stronger men” would come around when they were forty or so and “hurtle to kill” them so as to become their “successors” (23). So there’s your picture. Young, frenzied men in 1909 with a lot of wild ideas that actually go on to have a lot of impact on the world. They want to knock down every old edifice that remains in the world and make it new. They look forward to being destroyed by their successors. It’s funny what they got and what they didn’t. A lot of their thinkers would be killed in the war that was to come, but not in the way that they wanted. A lot of old things would be destroyed and made new after the war, for better or for worse. Successors would arise and carry on some of their ideas, but not in the way they would have preferred if they all lived. How can I say that? 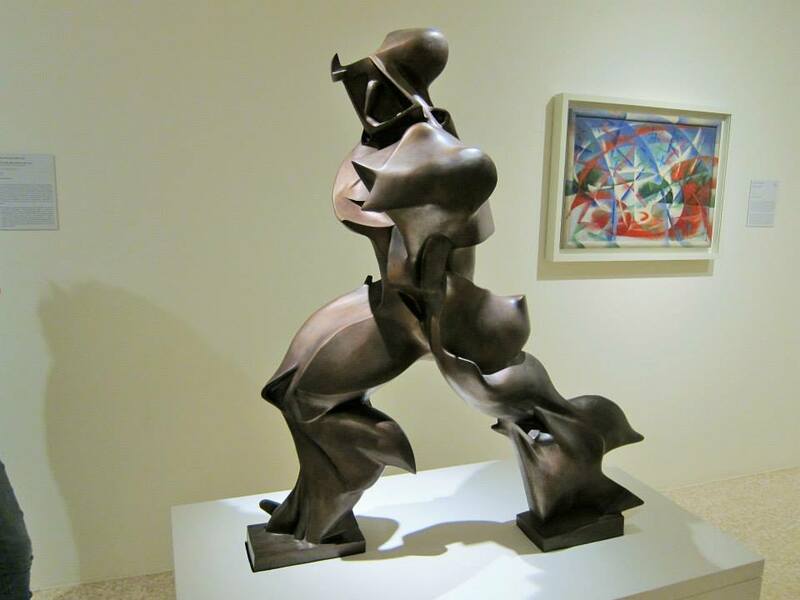 Well, when I visited the Peggy Guggenheim Museum in Venice, their special exhibition was on Futurist art. Some of the most famous pieces of their movement were there. 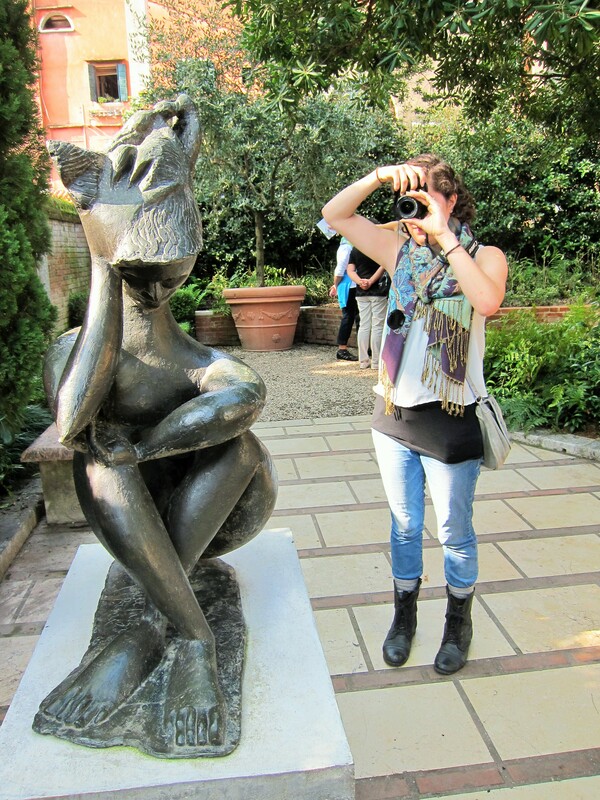 Sure, The Peggy Guggenheim is a modern art museum. There are no dusty Greek or Roman pieces there, but rather Dali, Pollock and Ernst. Yet, as far as the Futurists were concerned, anything past was old. Even their work, now, is “old” because it isn’t now. Hanging that art there, exhibiting it like that … all those artists were probably turning over in their graves. It’s just fascinating how the world picks and chooses what it wants to remember about movements and ideas and people. There are plenty of Futurist ideals that many artists still carry, like themes of destroying the old or violence in art, but this one they forgot. 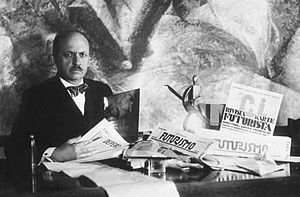 The Futurists were murdered, all right, but the radical movement they hoped would continue on after them did not–or it would not be the pieces of Marinetti’s contemporaries on the walls, but rather those young, vicious murderers for which they prayed. Now the only violence they can enact is the one which Marienetti lambasted museums for containing: where “absurd abattoirs of painters and sculptors ferociously [slaughter] each other with colour-blows and line-blows, the length of the fought-over walls!” (22). Alright. Here we are. The final part. You know, honestly, I don’t have a lot to say we did. That’s not to say that we didn’t do anything, just that Venice doesn’t have as much STUFF to do as, say, Rome. That’s okay, though, because it was so beautiful it was enough of an adventure just walking around. 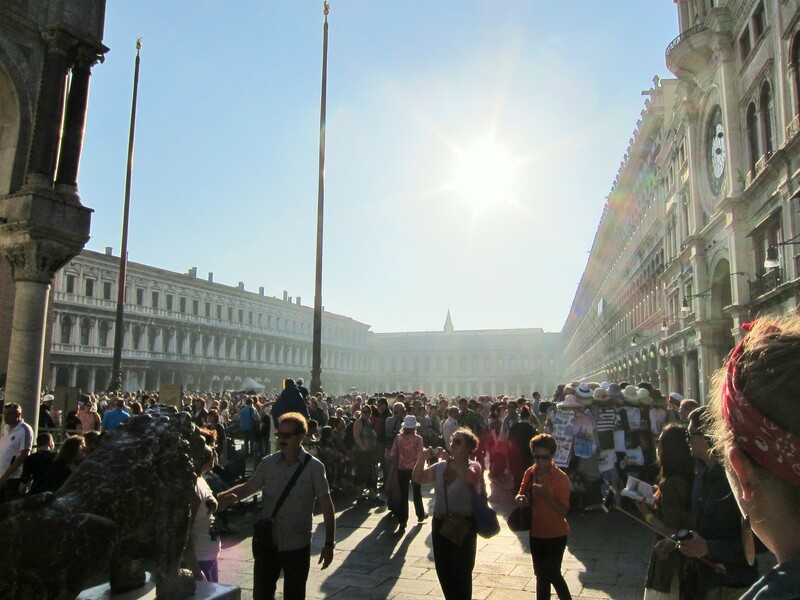 Of course, we did do the requisite tourist things, like San Marco’s. This is basically a big square by the water with the biggest “tourist attractions,” which are a church, a tower and an astrological clock. You basically stand in the middle and turn on your heel and BAM you’ve seen it all. Well, I mean, you can go in–and the church is beautiful oh my god–but it’s not enough for days and days, like Rome. 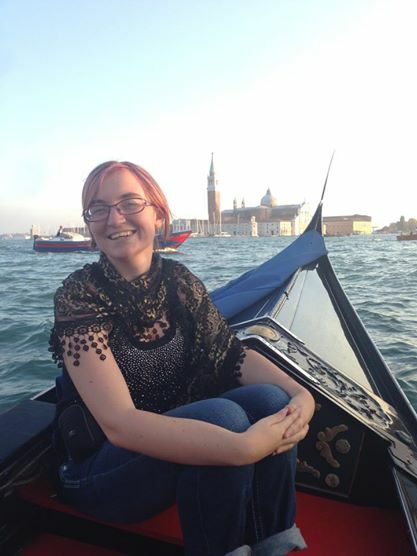 Another thing you can’t escape without is, of course, a gondola ride, which we also did. 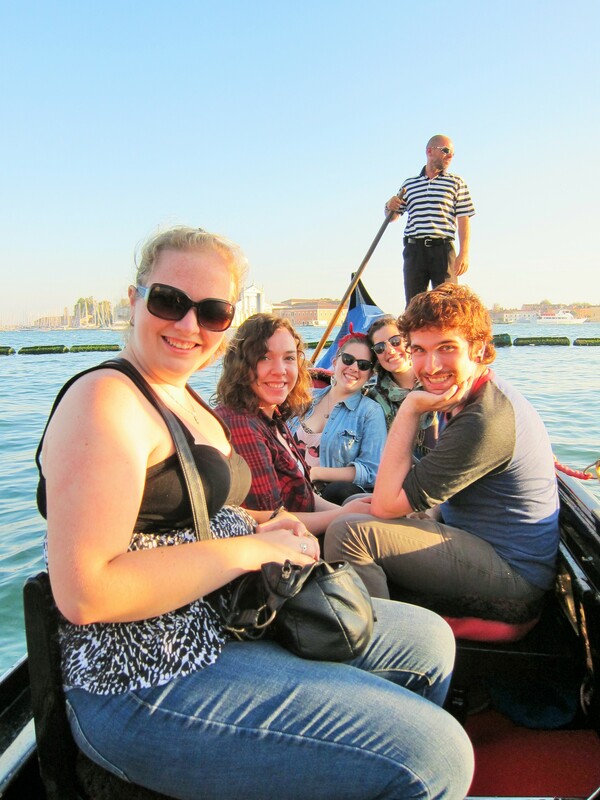 No, our gondolier did not sing, but that’s fine. It was meditative to ride through the canals. I got to sit in the front of the boat and just watch us move forward. It was weird to wave up at the people on the bridges, taking touristy pictures of us like we’d be taken earlier in the day. 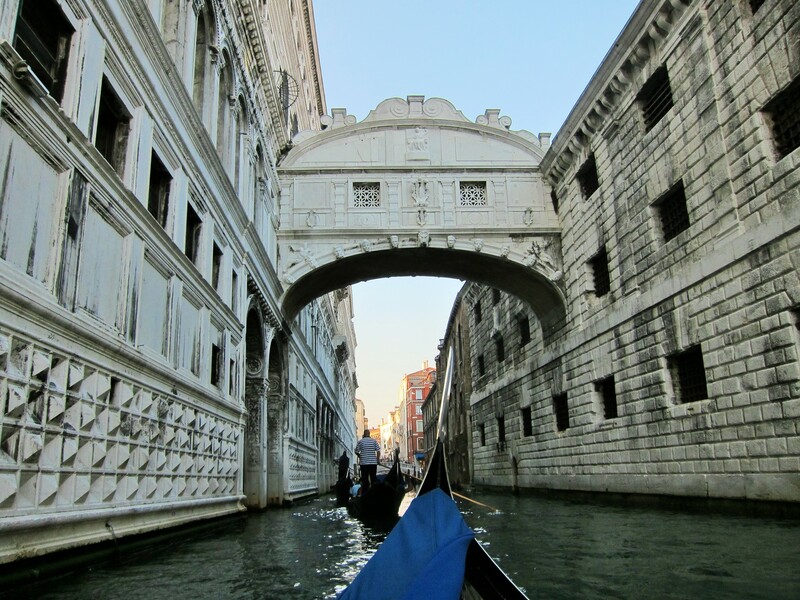 There are, of course, the important Venice bridges, but honestly I didn’t take much note of them. Like the Ponte Vecchio in Florence, they’ve just been taken over by sellers and tourists and aren’t much fun. I’m not even sure I have any real pictures of them. 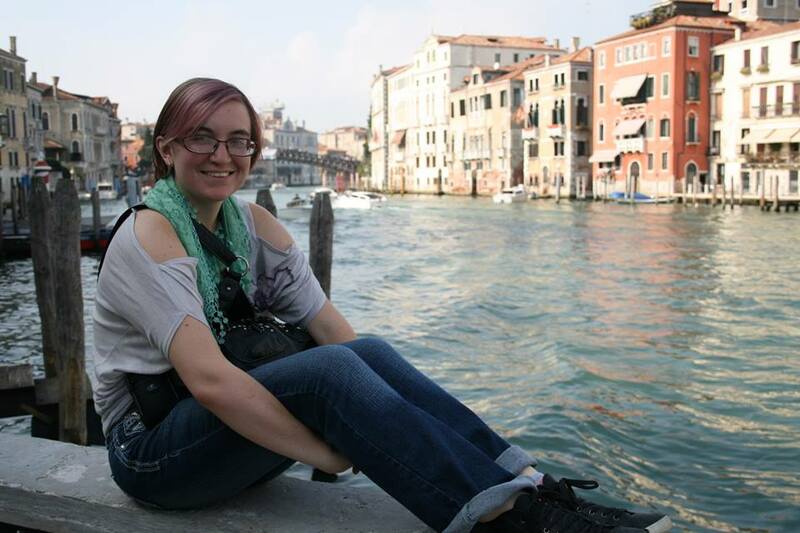 I’ll just hand you another picture of gorgeous Venice. 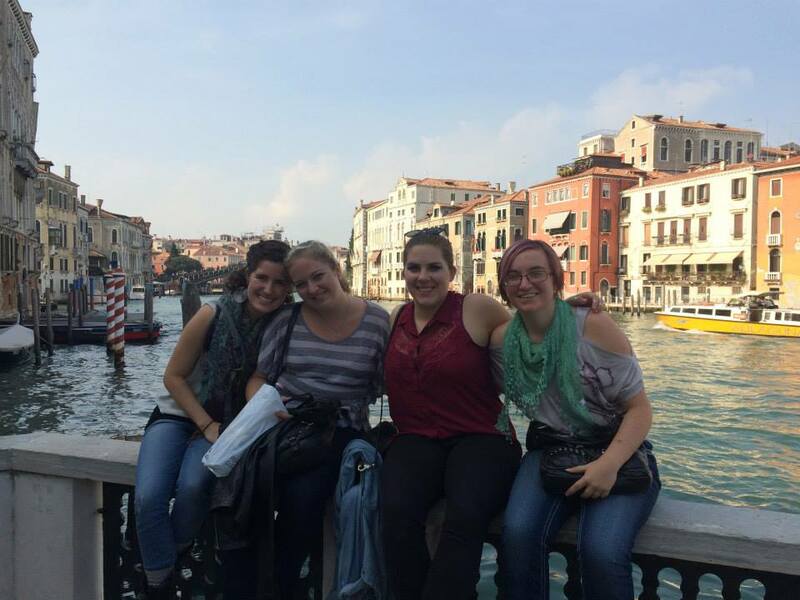 One of the things we did go and see was the Peggy Guggenheim Museum right on the Grand Canal. 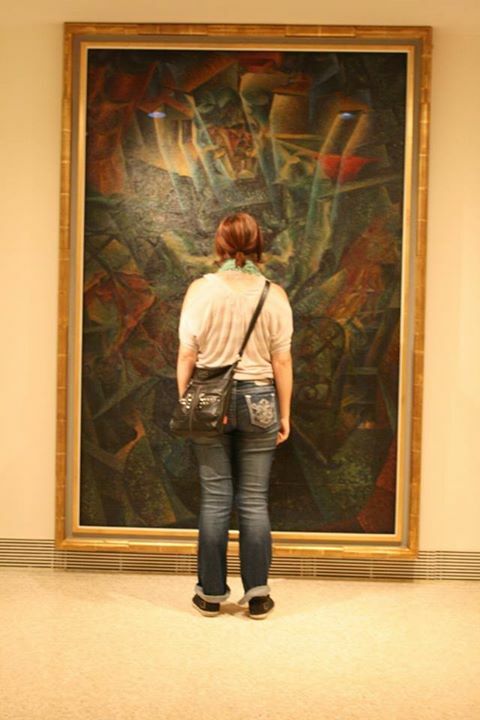 It houses one of the best modern art collections I’ve ever seen. Picasso, Ernst, Pollock and more are just right there, hanging out, in a space that continues to remind you it also used to be Peggy Guggenheim’s house. (She’s actually buried outside in the sculpture garden.) 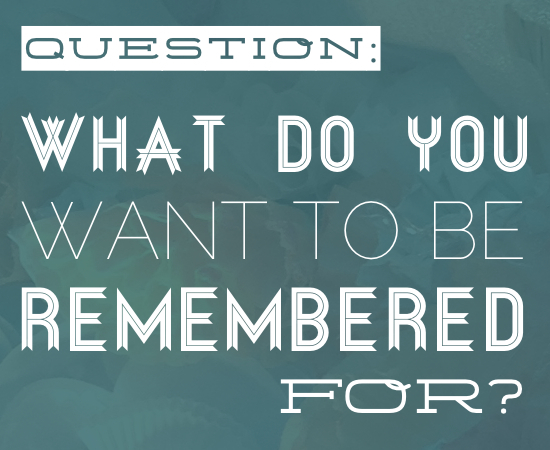 Along with the wine tour, it might have been one of my favorite things that we did! The scarf is mine from Florence. Not the canal. individual places. Those are the highlights of the things we did, the material things. I got a lot of presents for people and even grabbed a couple of things for myself. I titled these blog posts “Falling for Italy” because, quite frankly, I wasn’t sure how I was going to take this trip. 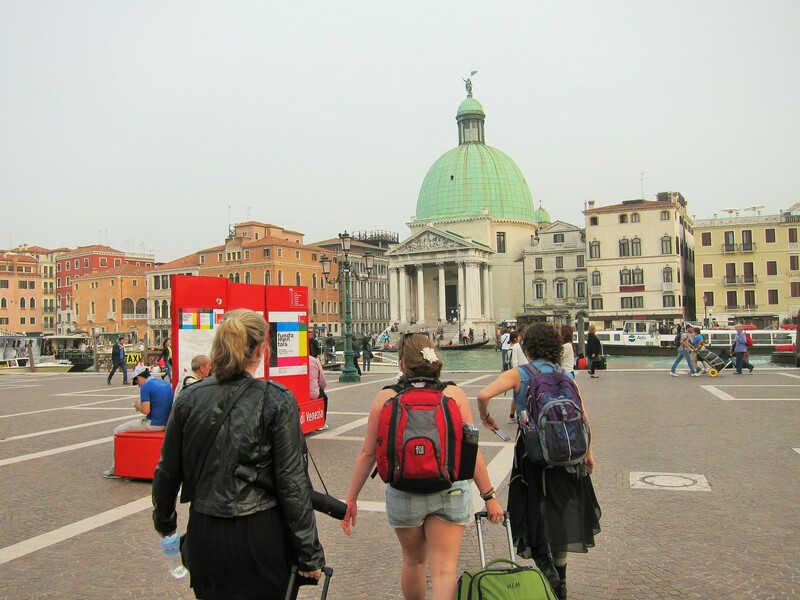 I wasn’t opposed to Italy, of course, but I wasn’t as drawn to it as some of the other people I traveled with. I can say with confidence that Italy won me over, heart and soul. I do wish I had been able to actually communicate, but besides the language barrier it was a gorgeous, lovely place to take a vacation in and I enjoyed every single second of it. I’ve seen things that I never imagined I would, stood next to things I’ve only seen in textbooks and learned a bit about myself along the way. What more could you ask for, really?